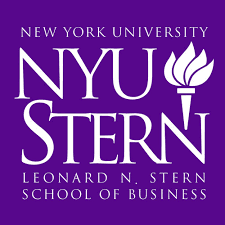 NYU Stern's 2017-2018 MBA application has undergone big changes and it will now offer two new one-year MBA programs, focused on fashion & luxury and technology respectively. 1. Applicants can now opt to be considered for multiple Stern programs—the full-time, part-time, or new specialized one-year MBA programs—simultaneously using a single application. 2. The school has stopped its long-standing “creative” essay—which gave applicants near total free reign to submit whatever they felt best communicated who they are as a person. 3. “Pick Six” has been introduced in its place—an Instagram-esque opportunity for applicants to use images and captions to tell their stories. 4. Finally, reflecting the importance Stern places not only on candidates’ IQ but also their EQ—or emotional quotient—the transformed application now solicits an “EQ Endorsement” in additional to more traditional letters of recommendations. The November deadline for the full-time MBA program has been eliminated, leaving only three deadlines: October 15th, January 15th, and March 15th. The other programs—fashion & luxury MBA, tech MBA, and part-time MBA (for spring term)—will each feature two deadlines, September 15th and November 15th. Candidates who do opt to apply to more than one program will be required to select a primary program—full-time MBA, part-time MBA, tech MBA, or fashion & luxury MBA—and then provide an additional essay explaining their program preferences—i.e. why their first choice program is their first choice but how more than one option could ultimately align with their career goals. Applicants should submit their applications by the deadline for the primary program they are targeting, and there will be no additional fee for applying to more than one program. Stern’s famous “creative” essay has been a hallmark of the school for more than 15 years, inviting applicants to use just about any means they could think of to express who they are as a person to the admissions committee. With Pick Six, Stern hopes to provide a little more guidance to applicants and create more consistency in the evaluation process while still offering plenty of freedom of expression. Through Pick Six, candidates get to submit six images—whether pictures, charts, infographics, or artwork—accompanied by six short captions. Stern’s has long placed a premium on candidates who possess both intellectual and emotional intelligence—what it terms “IQ + EQ.” Applicants will now be required to provide a testimonial illustrating a specific example of demonstrated EQ from someone who knows them well. While traditional professional recommendations still will be required, the EQ endorsement won’t be restricted to supervisors, as traditionally is the case with letters of recommendation. Instead, they can come from a team member, colleague, or peer—whomever can best attest to the candidate’s emotional intelligence. As before, all applicants will be required to submit a data form, resume/CV, work history form, two professional recommendations, academic transcript, standardized test scores, and essays on each career goals and program fit. For more information see the Stern Admissions site.